The CPU Symphonic Band greets Centralians at the main gate during the opening of classes. 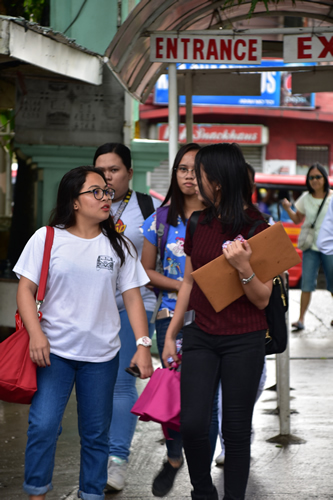 More than 6,000 students went back to school on June 18, 2018, the first day of school for the collegiate level at Central Philippine University. 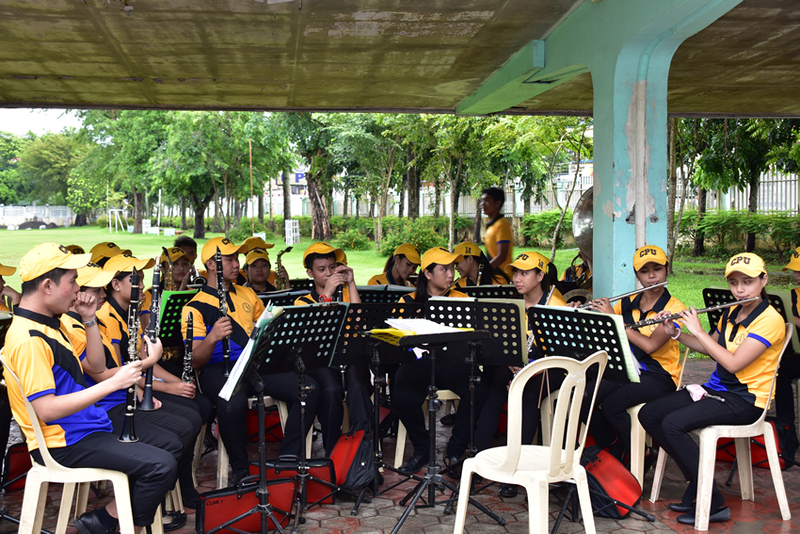 The CPU Symphonic Band, stationed at the Half-moon Drive near the Main Gate, welcomed the students with upbeat songs despite the heavy rains that morning. The students smiled and flashed thumbs-up signs at the band members in return to express their appreciation. The band has been doing this for three years already to enliven the first day of school and to cheer up students as they return from vacation. Meanwhile, the pre-collegiate departments already started classes last June 4, 2018. 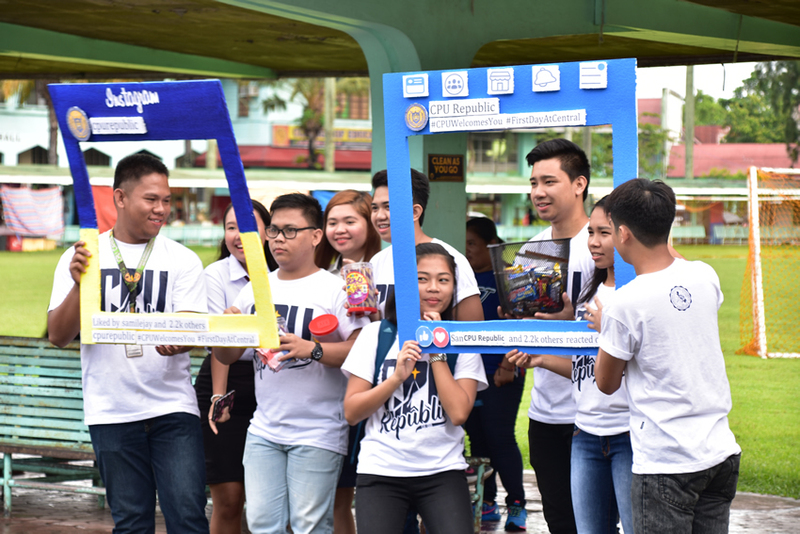 The CPU Republic officers welcoming the students on June 18, 2018. Centralians arriving during the first day of college classes. As of June 21, 2018, the records of the Office of the Registrar showed that the total number of enrollees in the pre-collegiate level is 4,340. It has surpassed last year’s enrollment of 4,032. The Senior High School’s population is now 1,757, surpassing last year’s record of 1,536 students. The Elementary Department’s current enrollees are 832 compared to 779 last year while the Junior High School Department’s population is 1,597 compared to 1,552 last year. The current number of students for the Kindergarten Department is 154 compared to 165 enrolled last year. Currently, there 6,395 enrolled in the various colleges of the university. As of publication date, CPU has a total of 11,082 enrollees. The administration officials are hoping that CPU can surpass last year’s number of enrolled students since the enrollment (for college students) is until June 29, 2018.